The breakout and pullback trading strategies are two main ways to trade stocks. They’re very profitable for any trading style. Swing traders, as well as day traders, use these two trading strategies every day. Sometimes you can wonder which method has a higher probability of success. 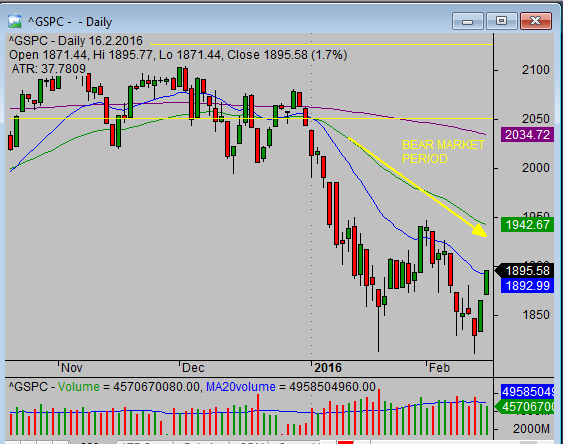 Is it breakout strategy or is it a pullback trading system? There are times when it’s much better to make pullback trades. And there are times when it can be more profitable to trade breakouts. The knowledge, when to use correct a trading strategy, is crucial because it defines the amount of profit you’ll make during the next trading days. b) When to prefer a pullback trading strategy and when it’s better to use a breakout strategy for your stock swing trade. The first step is to understand what the current market situation is and how it can affect the price development of your next trade. You can imagine that if the market will be in a strong sell-off, it’s a higher probability that your preferred stock pick will also go down rather than up. So don’t make a mistake of trading regardless of market trend analysis. It pays a huge dividend of much easier and quicker profits if you trade in the direction of a major stock market trend. The S&P 500 stock market index rises during the bullish period in an uptrend manner. Trading volume is higher during periods of price advance than during smaller corrections. The decline during a bear market period is typically quick and intense. Corrections are small, if any. You have to understand key characteristics of these two trading strategies to know which one to select for your next stock trade. A breakout trade can be a more successful strategy if the chosen stock pick moves in a tight trading range for some time. The energy for a breakout should accumulate before a break of a resistance level can happen (for a bullish trade). If the stock price experienced a strong uptrend in previous days, it isn’t a good candidate for a breakout now. Trading range breakout trades often have such intense energy that the price rises very quickly and allows you to reach substantial profits soon. The weakness of these trades is that the trade setup often leads to the more risky scenario that will affect your position sizing. The stop-loss level is typically larger than in a pullback trading strategy. 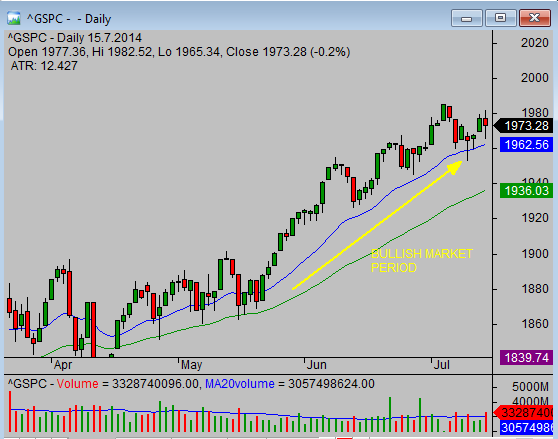 The breakout is a preferable trading style for a rising market. Use a bullish breakout for a bullish market and a bearish breakdown for a bear market. If your stock made a breakout already, and the price advances up (for a bullish trade style), then prefer a pullback strategy. You can wait for a pullback to find a low-risk entry point. The pullback trade often offers a much less risky trading setup since you can more precisely define your stop-loss level. So this is a good strategy for when you find the stock pick that made a breakout already. You have to prefer a pullback trading strategy also when the stock market situation is not very clear, and the stock market situation doesn’t show a strong trend up or down. The disadvantage of a pullback trade setup is that sometimes you won’t find a suitable pullback opportunity after a breakout. The move after a break can be very quick and push the price too far. In such a scenario, you’ll have to find another low-risk pullback trading opportunity on the stock market. It makes sense to learn pullback trading strategies and integrate them into your stock trading plan.